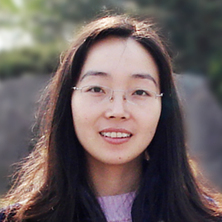 Associate Professor Chun-Xia Zhao is a Group leader and an Australian Research Council (ARC) Future Fellow and at AIBN. She joined Australian Institute for Bioengineering and Nanotechnology (AIBN), The University of Queensland (UQ) in early 2008 as a Postdoctoral Fellow in Prof. Anton Middelberg's group, after obtained her PhD degree in Zhejiang University. In 2011, A/Prof. Zhao was awarded an ARC Discovery project along with the Australian Postdoctoral Fellow as the sole investigator. In 2014, she was awarded the prestigious Australian Research Council Future Fellow. Her research in bio-inspired nanotechnology and microfluidics has attracted more than $3.5 M research funding since 2011, including three Australian Research Council projects (two ARC discovery projects and one ARC Linkage project) as the lead investigator, two national prestigious fellowship (Australian Postdoctoral Fellowship and Australian Research Council Future Fellowship), UQ Early Career Award and UQ New Staff Start-Up grant. She visited Harvard University as Fellow of the School of Engineering and Applied Science (Oct - Dec, 2014). In 2016, her research excellence was recognised by the UQ Foundation Research Excellence Award. She has been appointed as member of the 2019 ARC College of Experts (2019-2021). A/Prof. Zhao has contributed substantial high quality scientific papers in international top refereed journals such as Angewandte Chemie International Edition, Chemical Communications, Journal of Materials Chemistry, AIChE Journal, Biotechnology and Bioengineering, Vaccine, and so on. She has been focusing on innovative research, and has been active in patent application to transfer her research into practical applications, as evidenced by her five patents. One of her patents was licensed to an international company. She has built extensive collaborations with scientists at top universities such as Harvard University, Brown University, etc. She serves as the Editor-in-Chief, Editorial Board member for several journals. Dr Zhao's research expertise is nanomaterials for drug delivery and controlled release, microfluidics for making sophisticated materials and screening drug delivery systems, and biomolecular engineering for sustainable materials, including a number of directions: (1) Emulsion and biomimetic dual-templating technology for making silica capsules for controlled and sustained release; (2) Stimuli-responsive soft materials based on biomolecules manufactured from renewable resources. (3) Simple and low-cost platform technology for producing bioproducts, including peptide or protein biosurfactants, peptide antibiotics. (4) Microfluidic synthesis of hierarchical materials for applications in sustained and controlled drug release. (5) Microfluidic platform technology for reproducibly producing targeted polymer nanocarriers having systematically varied properties. (6) In vivo-mimicking Tissue Chips for screening and evaluating nanocarriers. A/Prof. Zhao has established a recognised international presence in the fields of nanomaterials, microfluidics and drug delivery. She has been invited to submit book chapters, reviews and research papers in leading journal, such as Advanced Drug Delivery Reviews (2013 Impact Factor 12.7), Chemical Engineering Science Special Issue on Microfluidic Engineering, Industrial Engineering & Chemical Research, Vaccines. She has also been invited to present her work at international conferences (World Congress of Chemical Engineering, Annual World Congress of Advanced Materials, Annual World Congress of NanoMedicine, Bionano Innovation Conference, etc). A/Prof. Zhao is also an invited reviewer for more than 20 journals, including Advanced Materials, Chemical Communication, Lab on a Chip, Chemical Engineering Science, AIChE Journal, Langmuir, Journal of Chromatography A, Inorganic Chemistry, Journal of Chemical & Engineering Data, etc. Zhao, Chun-Xia, Wibowo, David and Middelberg, Anton P. J. (2015). Bio-inspired nanomaterials for controlled release. In: 2015 AIChE Annual Meeting, Salt Lake City, UT, United States, (). 8-13 November 2015. Zhao, Chun-Xia and Middelberg, Anton P. J. (2010). Double emulsions by a one-step solvent shift method. In: Chemeca2010. 40th Annual Australasian Chemical and Process Engineering Conference, Adelaide, SA, Australia, (432-440). 26-29 September 2010. Luo, D. Z., Zhao, C. X. and He, C. H. (2005). Separation for the mixture of petroleum ether (60-90?) and ethyl acetate. In: China/USA/Japan Joint Chemical Engineering Conference, Beijing, (). Oct 11-13, 2005.